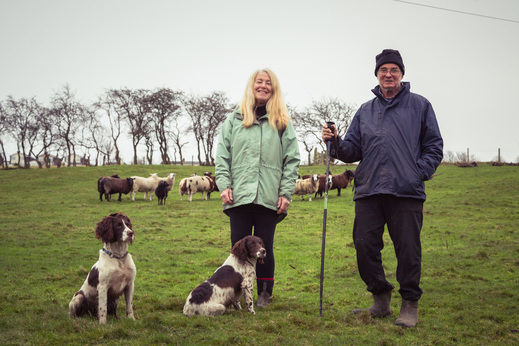 We are Ike and Steph, with Lucky and Daisy our Springer Spaniels. We run a small farm a little way out of Newcastle upon Tyne. We keep traditional breed cattle and sheep, fed on our own rich variety of naturally fertilised clover lay. We've recently started keeping a few field-reared pigs - large whites and pietrains. We also have 26 acres of woodland which boasts many beautiful camping spots.